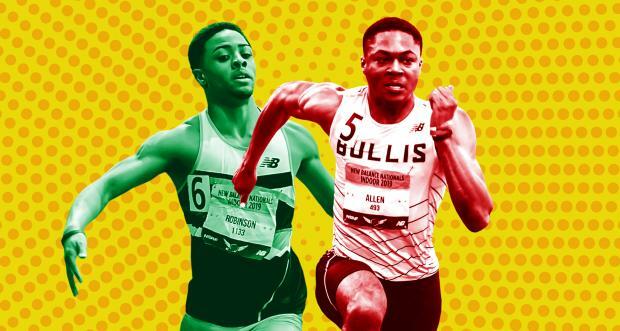 At New Balance Nationals Indoor earlier in March, the boys 400 meter championship offered up a tantalizing display of talent: Hazelwood West (MO) junior Justin Robinson versus Bullis School (MD) junior Ashton Allen. The distance pitted the nation's No. 1 and No. 2 athletes at the distance, but it was anyone's guess who would take the title. MileSplit was on site at New Balance to track just where this matchup would go. Take a listen to the podcast.